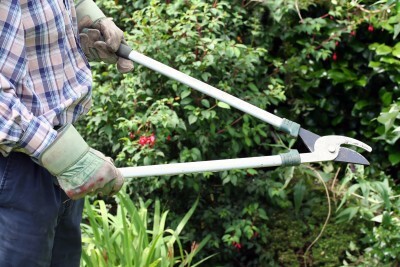 Keeping your garden neat and tidy and helping plants flourish requires regular pruning and cutting; if you need some help and expertise then M&M Gardening Services are your natural choice in Sheffield. Trimming the hedge, pruning shrubs and trees and assorted tidying of foliage eats up time - we appreciate this and help many time-challenged people in the Sheffield area. There's also the matter of sometimes accessing difficult to reach hedges and shrubs to trim, and perhaps it's best to let the experts handle it for you rather than balance precariously on that step ladder. Whatever your reasons, we're the people to call just as many residents throughout the area have done in the many years we've been operating. Our wide range of tree pruning, hedge cutting and trimming services ensures all your basic needs are met. It's not just the convenience of having someone else take care of this aspect of garden care for you, but the expertise we bring to you, which ensures the job is done right, every time. There's more to pruning than arbitrarily snipping away at hedges, trees and shrubs; it's knowing whereabouts and when to prune to get the best out of them and making sure they'll be in the right health for the long term. Particularly with pruning, while we're there we can spot if any problems are brewing such as disease and advise a course of action before things get out of hand. Talk to your local gardening professionals now on 0114 304 9252.